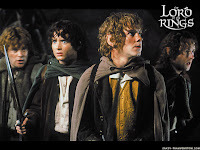 Hobbits are peace-loving and easy going race known to man as Halflings and to Elves as Periannath. Hobbits are small people -literally- with big hearts. 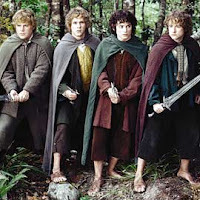 They prefer simple lives and have a strong and tender affection to their homeland: the Shire - Middle-Earth's rural area. They possess pure innocence and strong love for life. All their homes are dug along side of the earth. Apparently, the word hobbit is from the word holbytla, that means 'hole-builder'. BUY | LOTR: The Fellowship of the Ring | Widescreen Special Edition DVD Free shipping on all DVD and Blu-ray orders over $35.